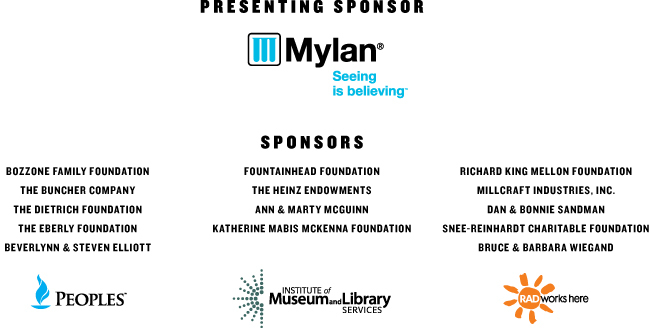 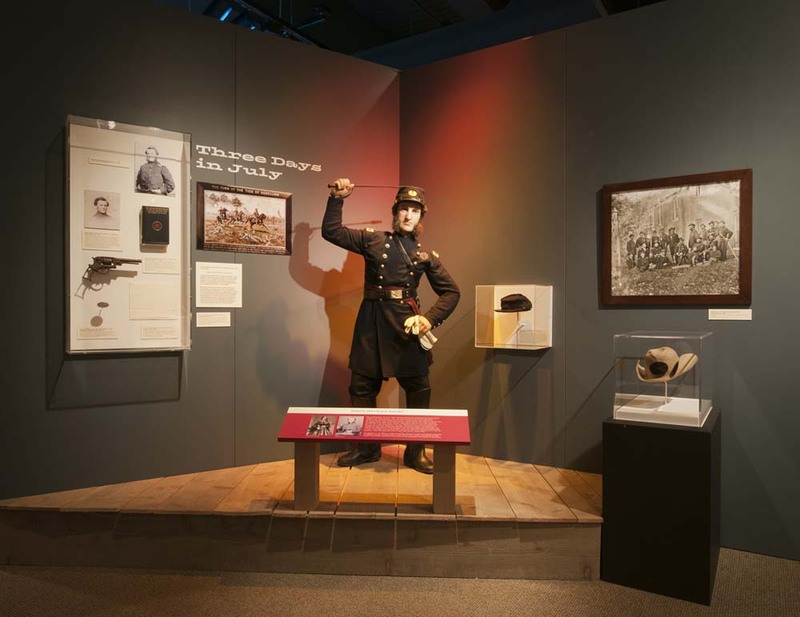 Visitors could take in-depth look at Pennsylvania’s significant role during the Civil War as part of the History Center’s major exhibition in 2013, Pennsylvania’s Civil War, presented by Mylan. 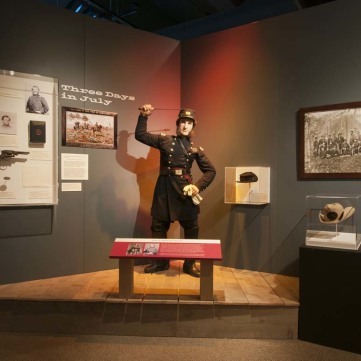 Pennsylvania’s Civil War highlighted the state’s contributions to important conflicts such as the Battle of Gettysburg, and showcased Pittsburgh’s role as the “Arsenal of the Union” and the impact Western Pennsylvanians had on the war both on the battlefield and on the home front. 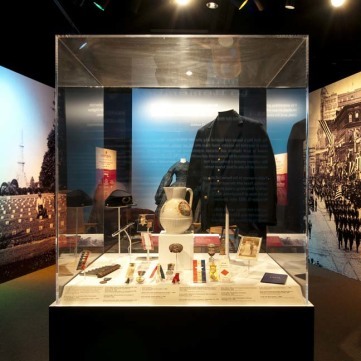 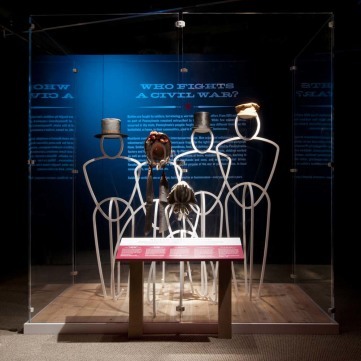 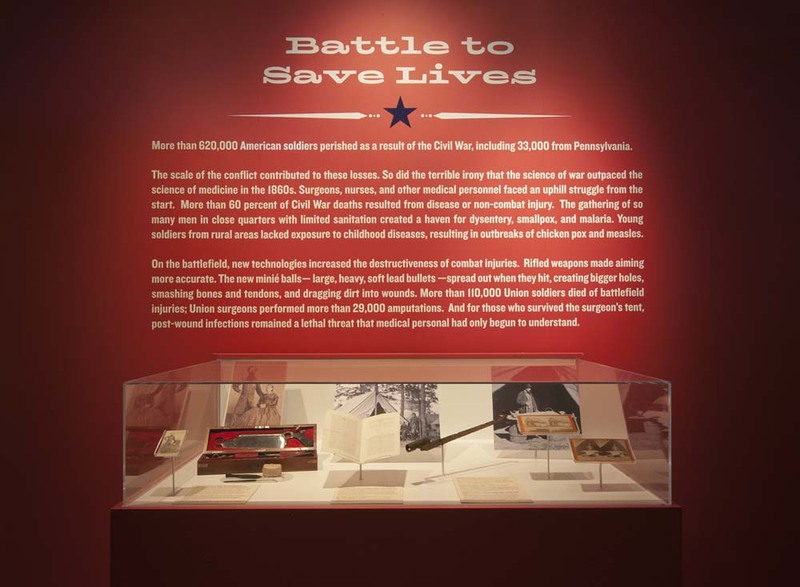 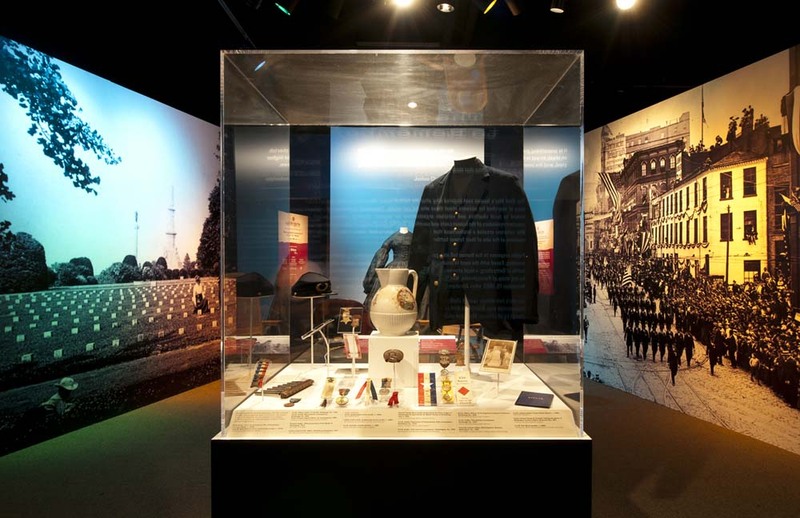 The exhibition was a key component in a series of History Center programs and publications developed in partnership with PA Civil War 150, the statewide initiative to commemorate the 150th anniversary of the Civil War. 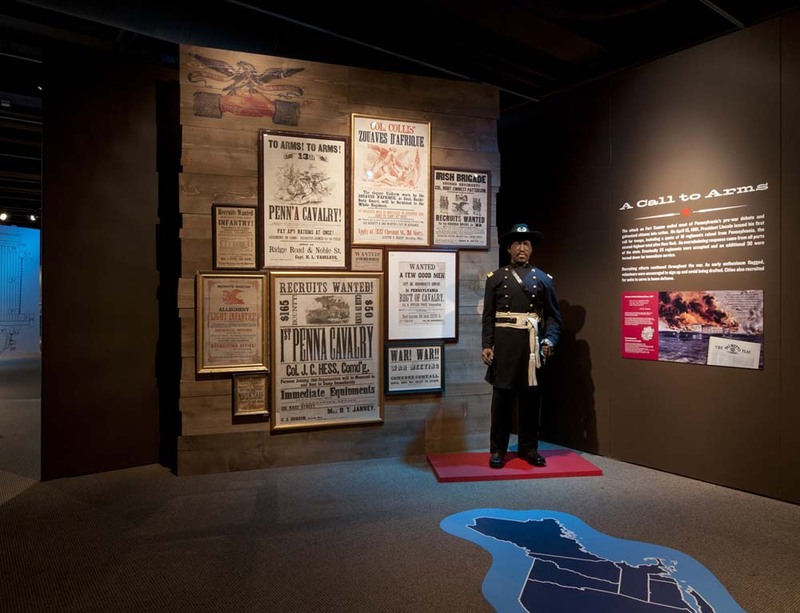 See all of our Pennsylvania’s Civil War videos on YouTube. 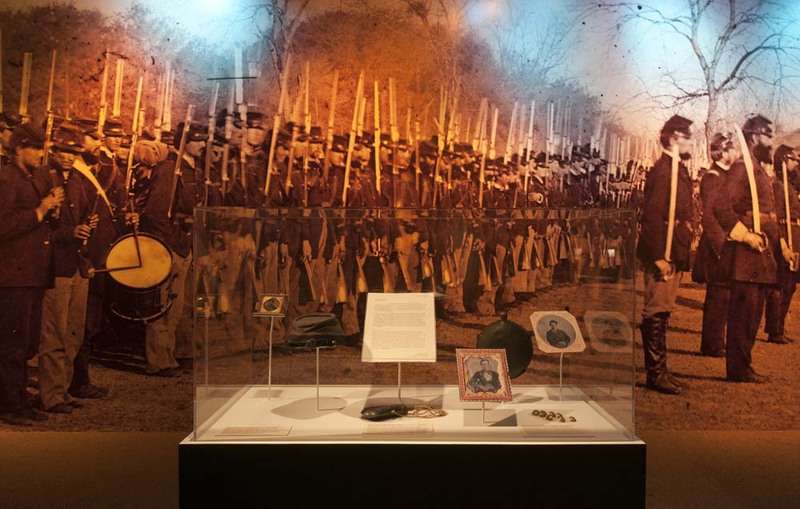 Pennsylvania’s Civil War helped bring to life the personal stories of those impacted during the four-year war, including soldiers, women, African Americans, and children. 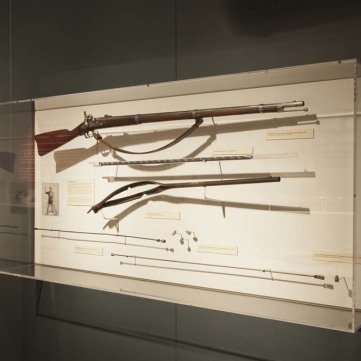 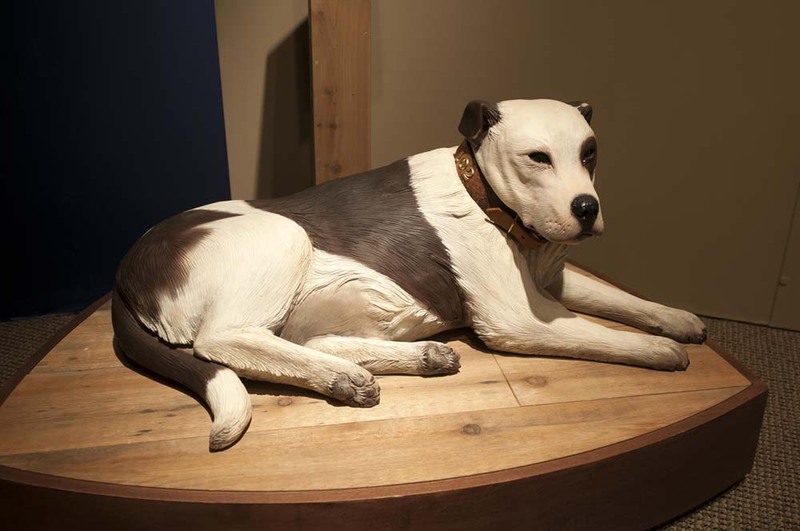 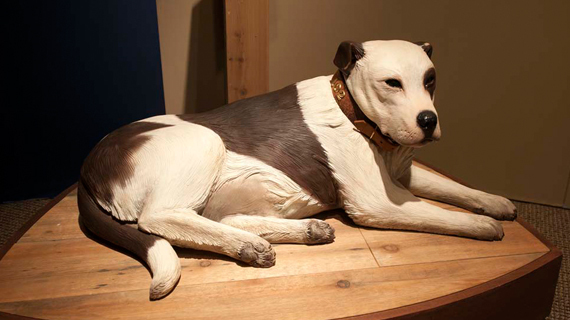 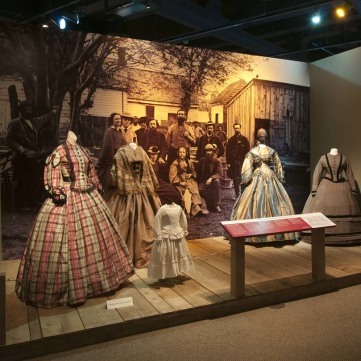 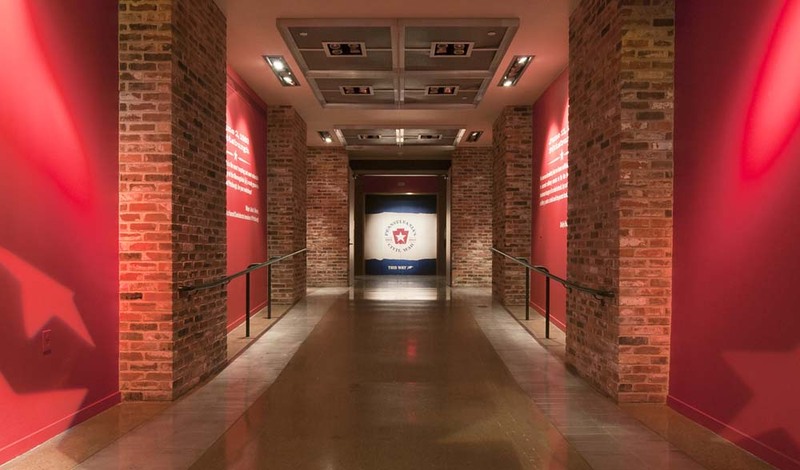 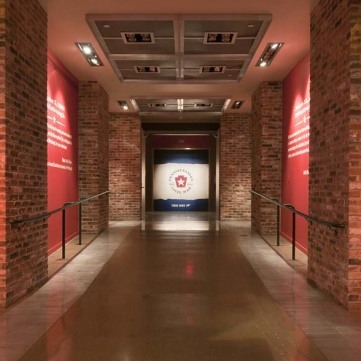 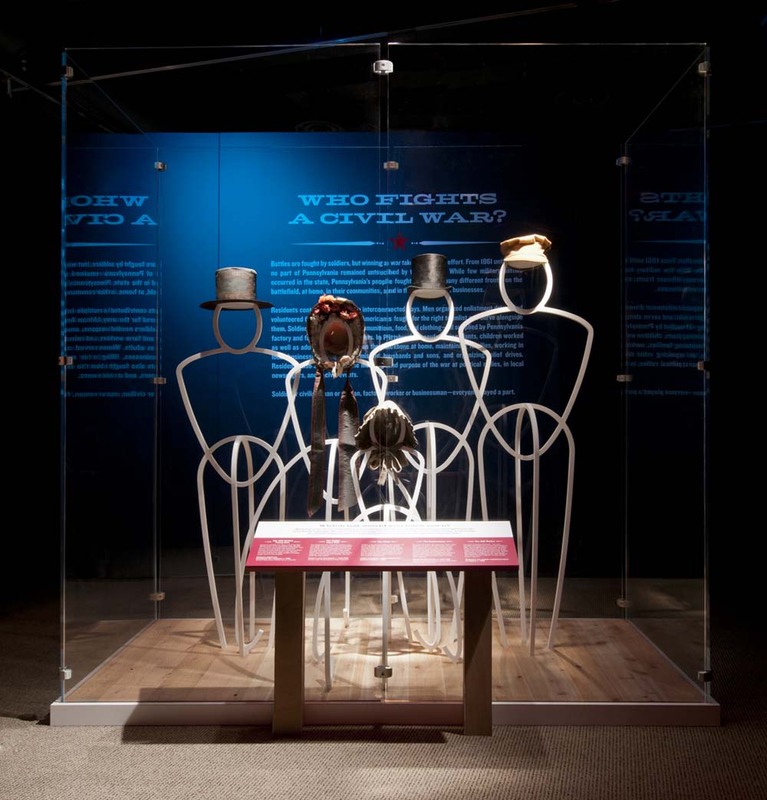 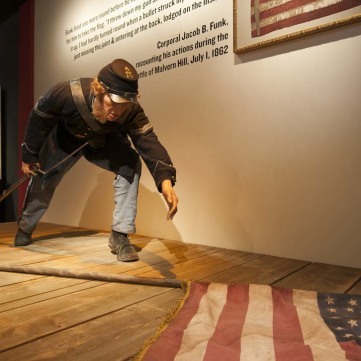 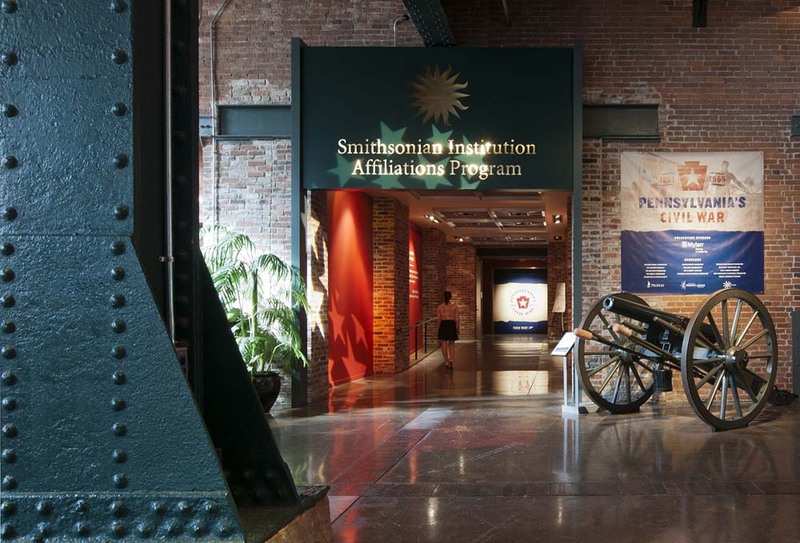 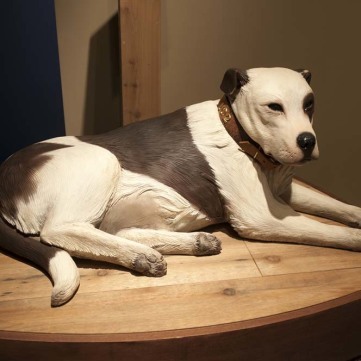 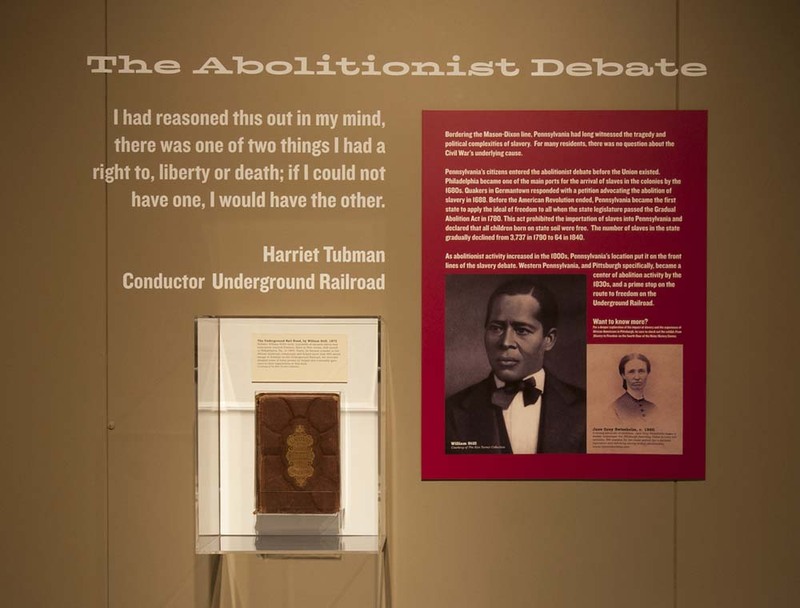 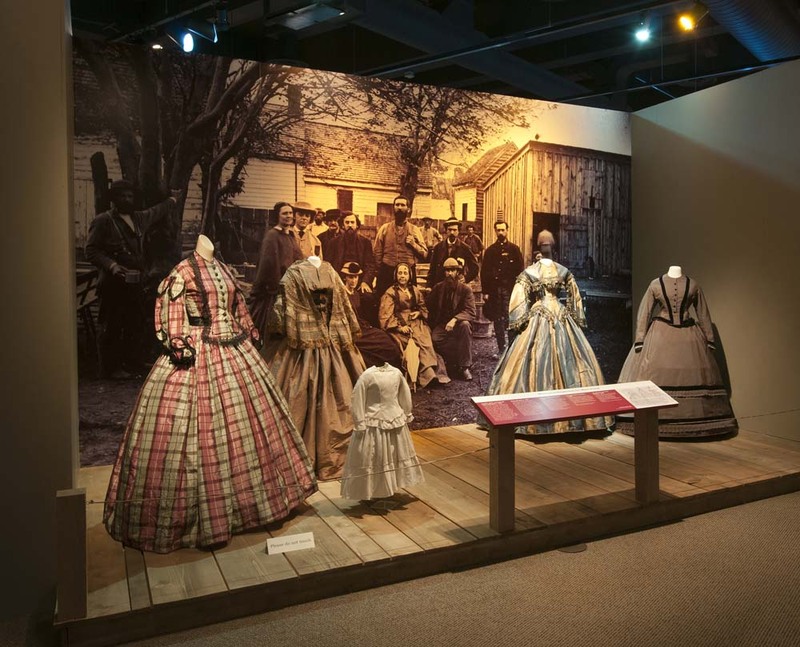 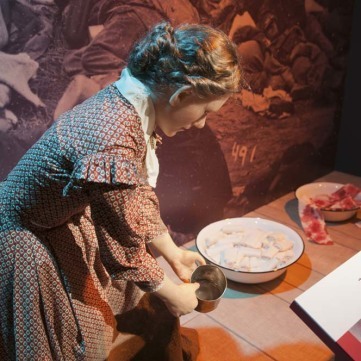 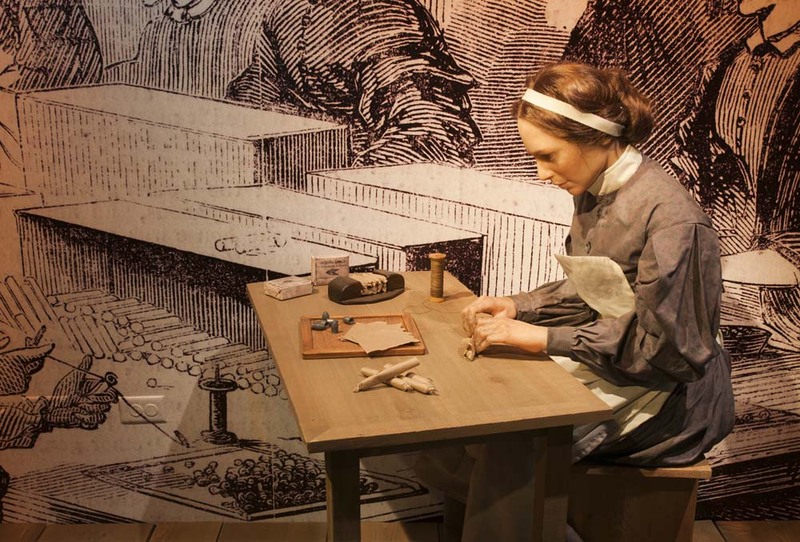 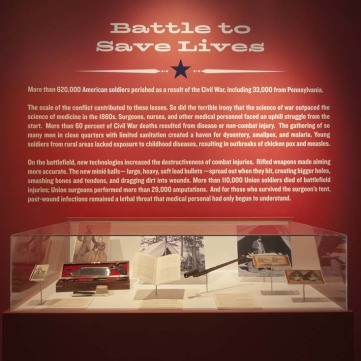 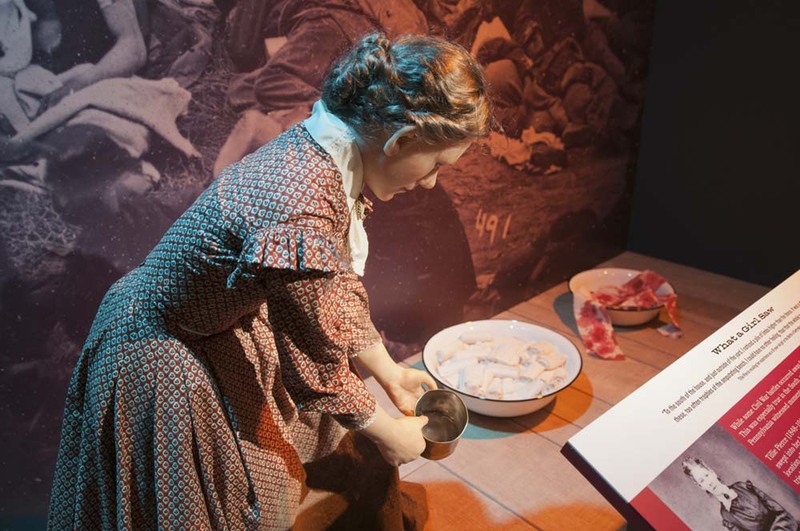 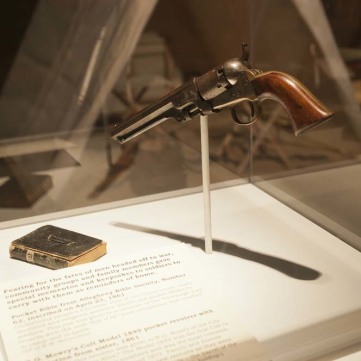 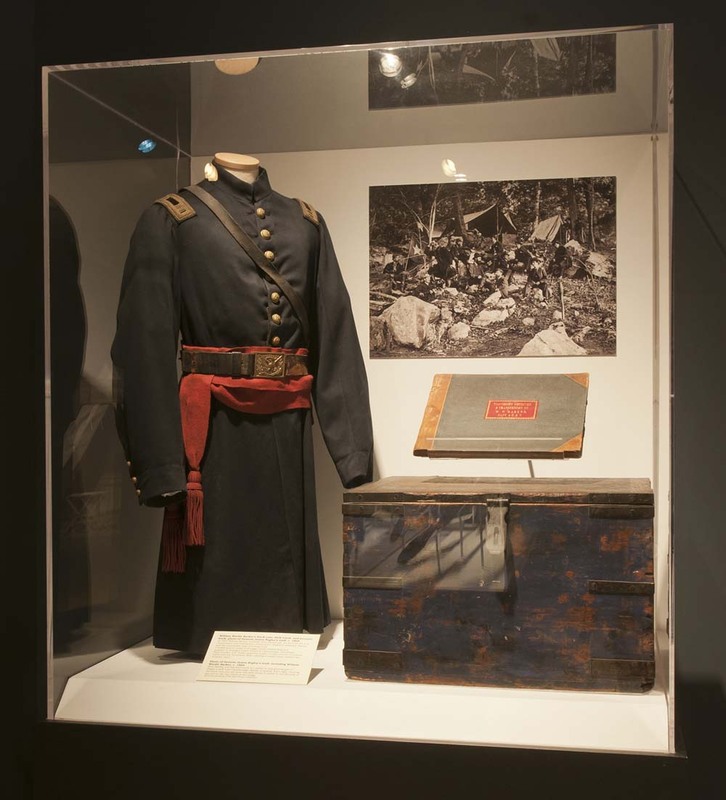 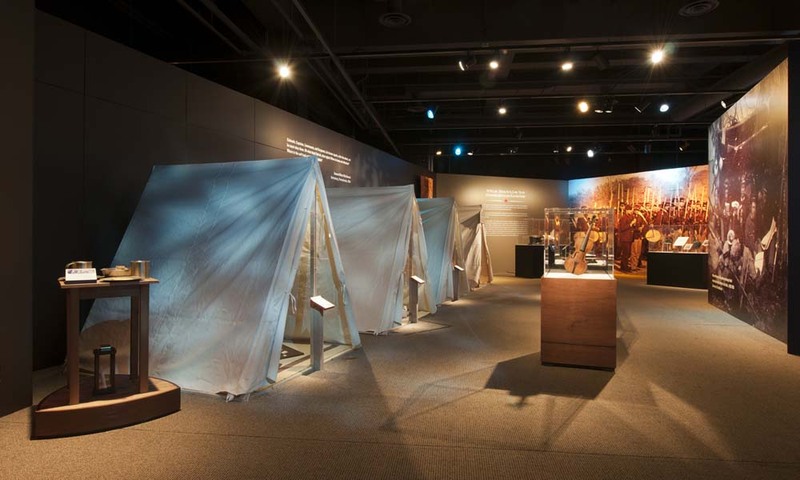 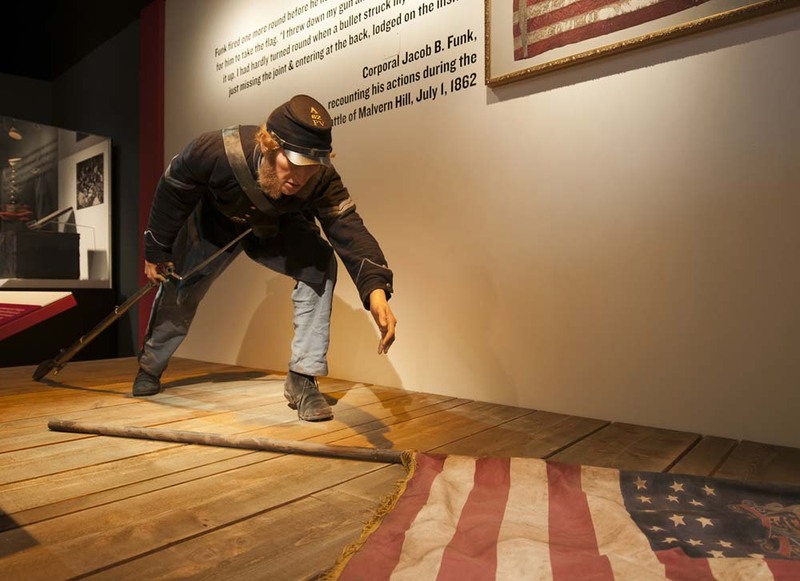 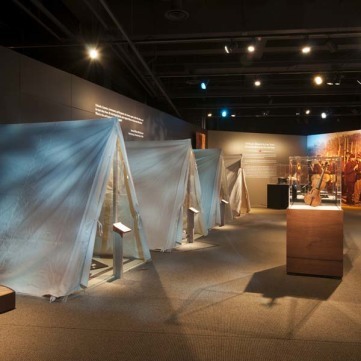 The exhibit featured more than 150 artifacts, including items on loan from the Smithsonian Institution, the State Museum of Pennsylvania, and the National Civil War Museum, along with rare archival images, six life-like museum figures, and immersive settings. 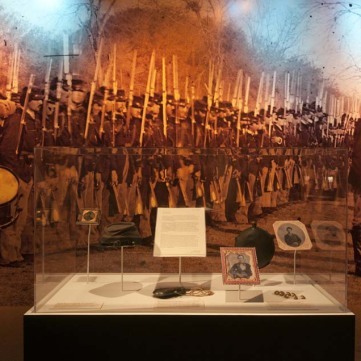 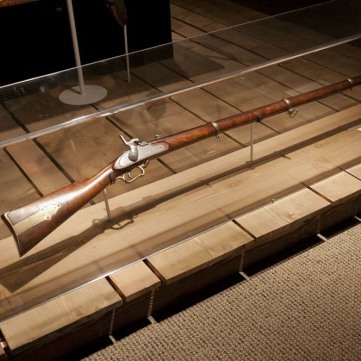 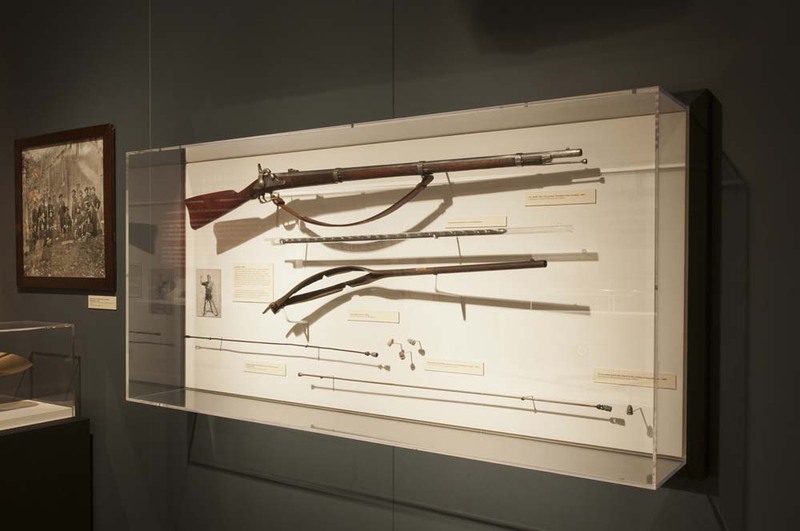 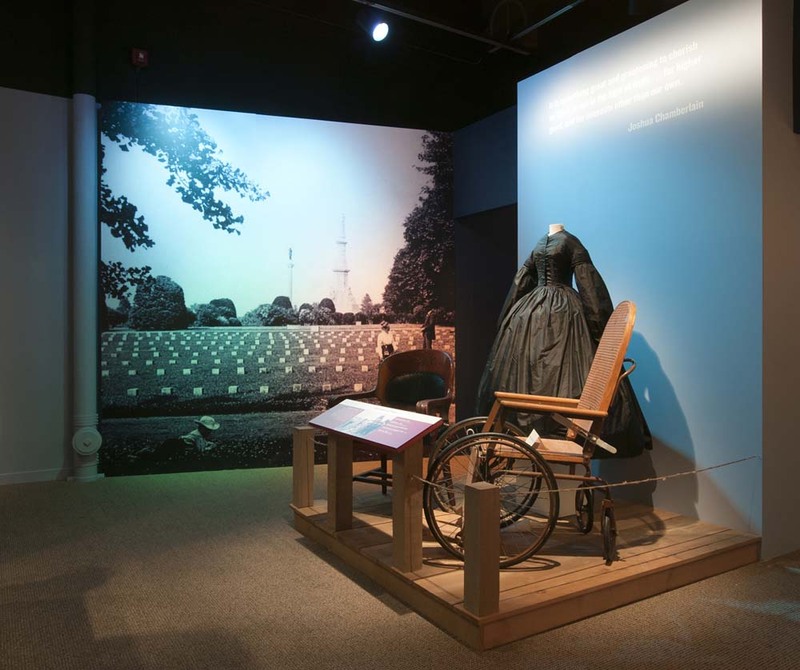 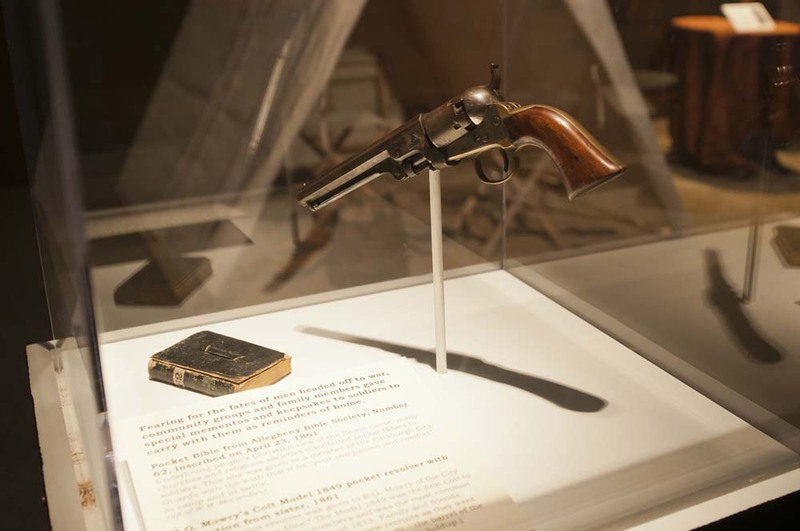 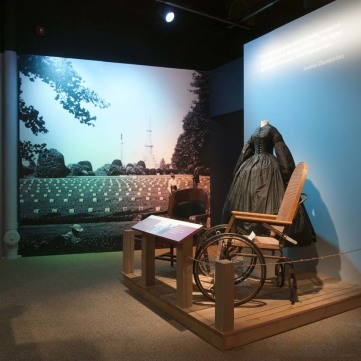 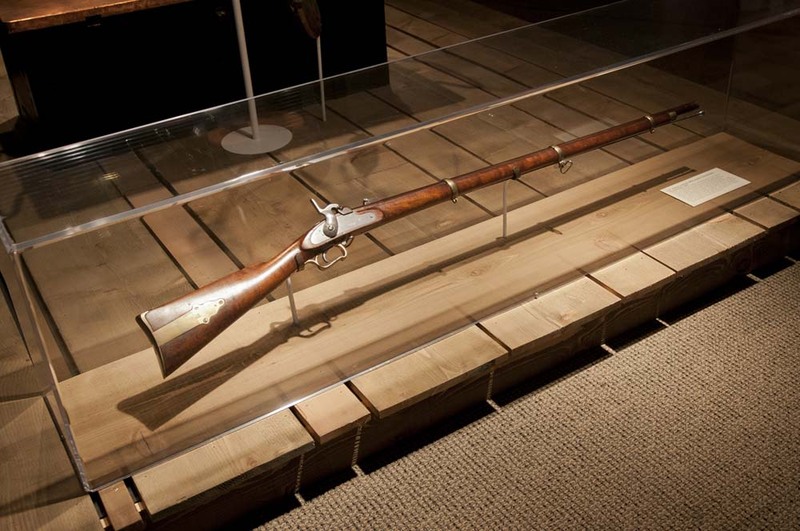 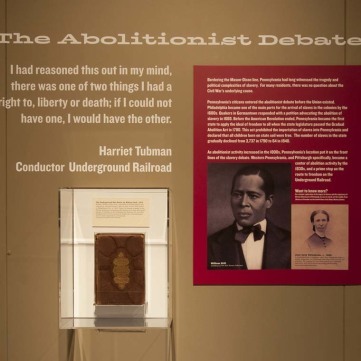 Many of the exhibit’s artifacts were selected from the History Center’s collection, as well as from private collectors, including noted Civil War author Kenneth Turner. 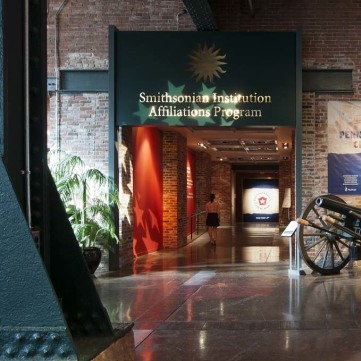 The 26-foot-long, nine-ton smooth bore Rodman Cannon, which provided a life-size example of Pittsburgh’s military production and prowess during the Civil War, was created using an innovative 3-D printing process and underwritten by Dan and Bonnie Sandman. 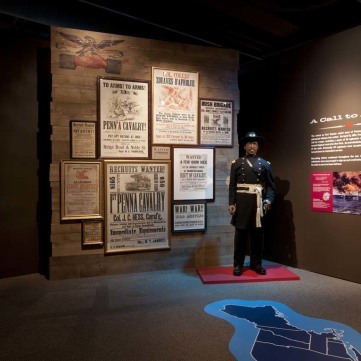 Immersive setting where you could walk through a recreated street in 1863 Pittsburgh and learn about the looming threat of a Confederate invasion on the city. 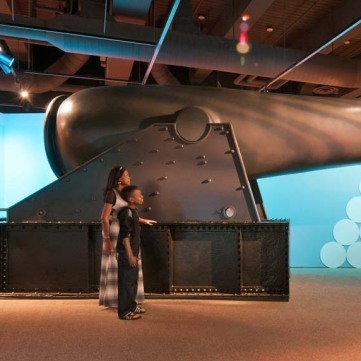 26-foot-long, nine-ton reproduction Rodman Cannon, the largest iron cannon ever cast. 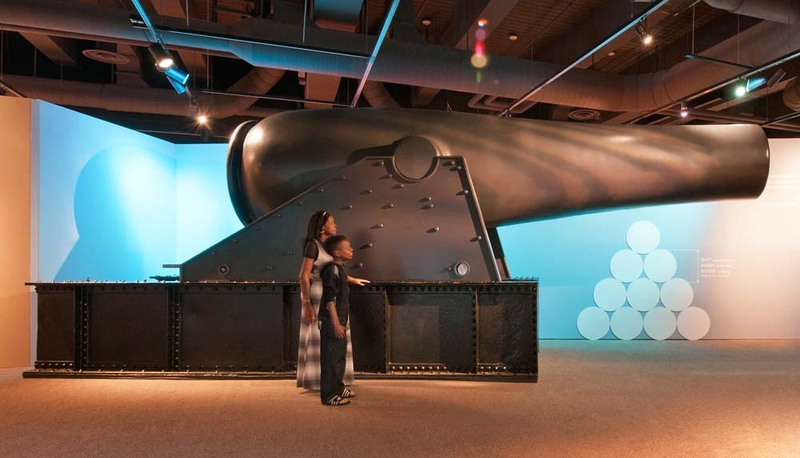 The original cannon, built in 1864 at the Fort Pitt Foundry in Pittsburgh’s Strip District, weighed nearly 90 tons. 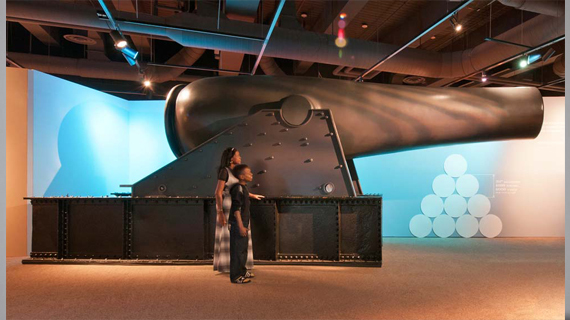 The cannon could shoot a 20-inch cannonball 4 1/2 miles, and was designed and cast using groundbreaking technology developed by Thomas Jackson Rodman. 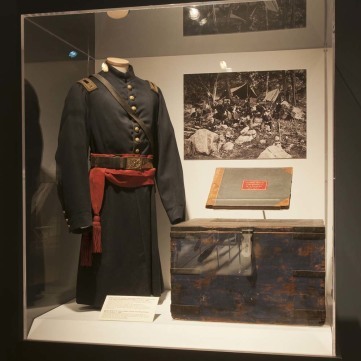 July 1863 letter written by Union Army officer Joshua Chamberlain to his wife Fanny after the Battle of Gettysburg that laments Strong Vincent’s death, on loan from the National Civil War Museum. 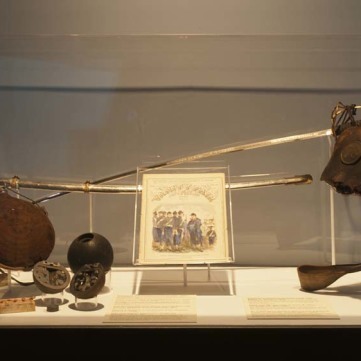 Mourning jewelry, accessories, and costumes. 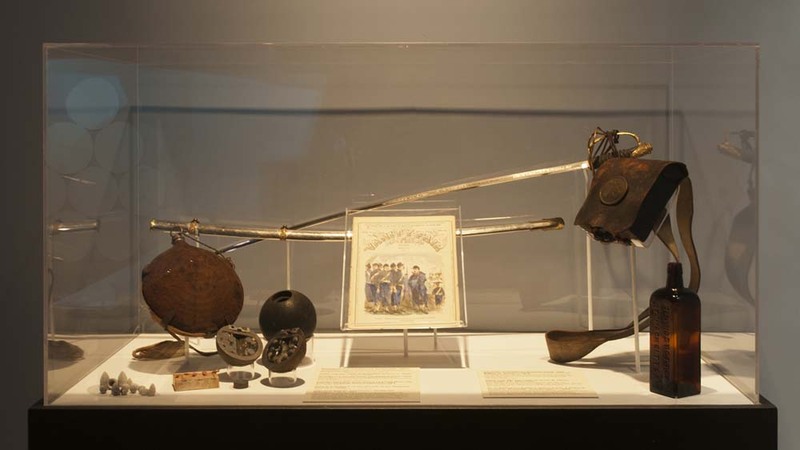 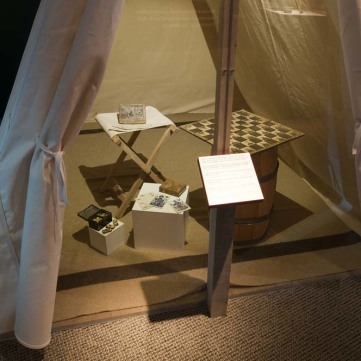 Materials used by soldiers in camp, including militia drum, fife, bugles, and 19th century board games. 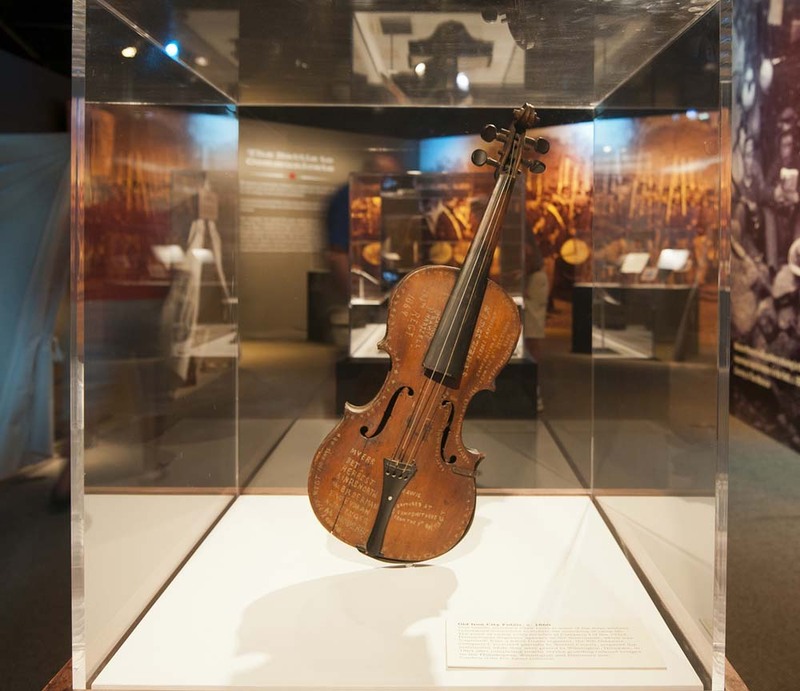 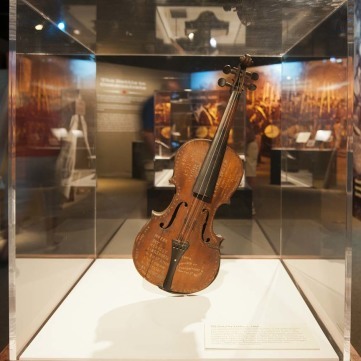 “Old Iron City” camp fiddle retrieved by the members of the 193rd Pennsylvania and inscribed with the names of each of the soldiers. 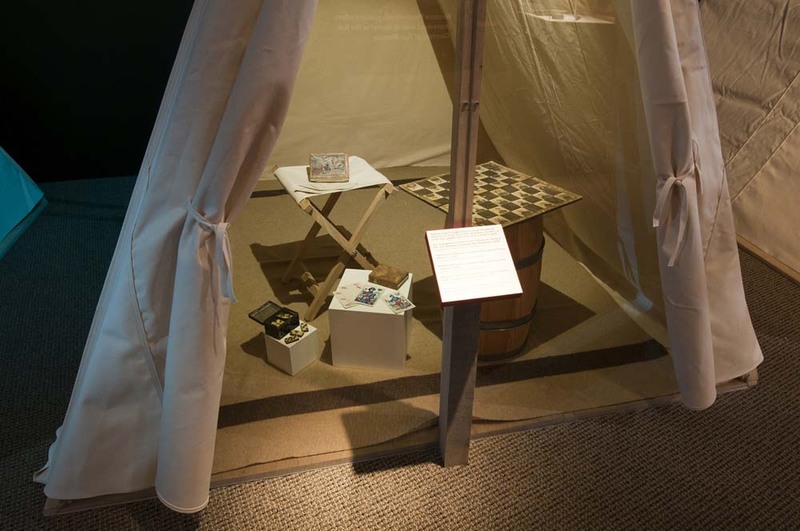 Personal mementos and gifts given to soldiers as they headed off to war, such as a sewing kit, a needle case, and a Bible. 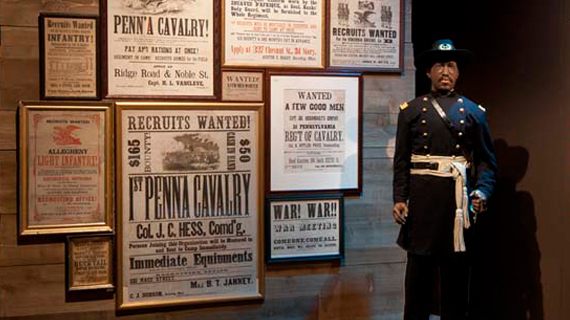 Original Civil War recruitment posters from communities across Pennsylvania, including Pittsburgh, Philadelphia, Blairsville, Lock Haven, and Meadville.